Owning a home in the Entertainment Capital of the World has always been a pipe dream for Mike Nosanov, who has always called Southern California home. 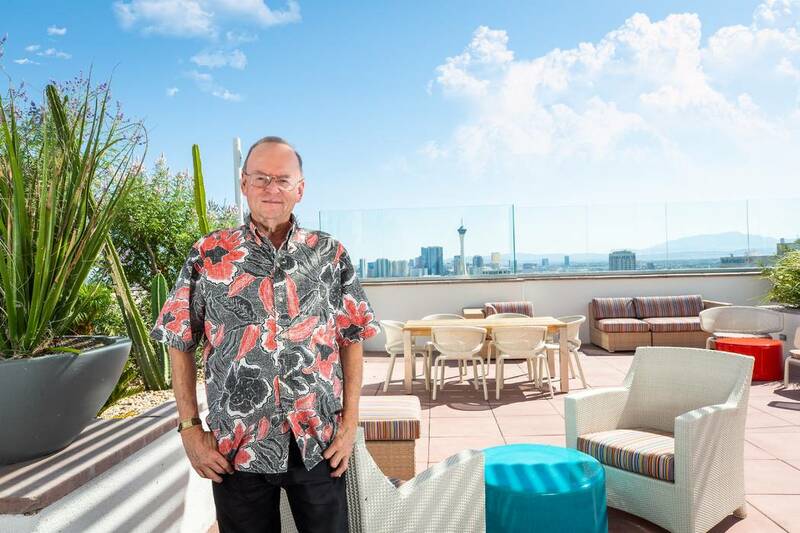 But in November, that dream became reality when he purchased a residence at The Ogden, an iconic, 21-story, high-rise condominium tower in the heart of downtown Las Vegas. Every other community the couple visited made them realize just how much they had fallen in love with The Ogden. From the state-of-the-art fitness center to the dedicated concierge team and 24-hour security, The Ogden landed on top of their list. “We currently split our time between Southern California, Darlene’s home in Hawaii and our new home at The Ogden in Las Vegas,” Nosanov said. “It’s particularly fitting since both our Hawaii and Las Vegas homes feel like paradise. Because we travel so often, The Ogden’s lock-and-leave feature makes us feel secure and offers us priceless peace-of-mind. And as a retired civil engineer, Nosanov has always been drawn to the construction and design of a building. According to Nosanov, other selling points at The Ogden include its minimal maintenance lifestyle and built-in social network, thanks to the resident events led by lifestyle director Evelyn Connors.